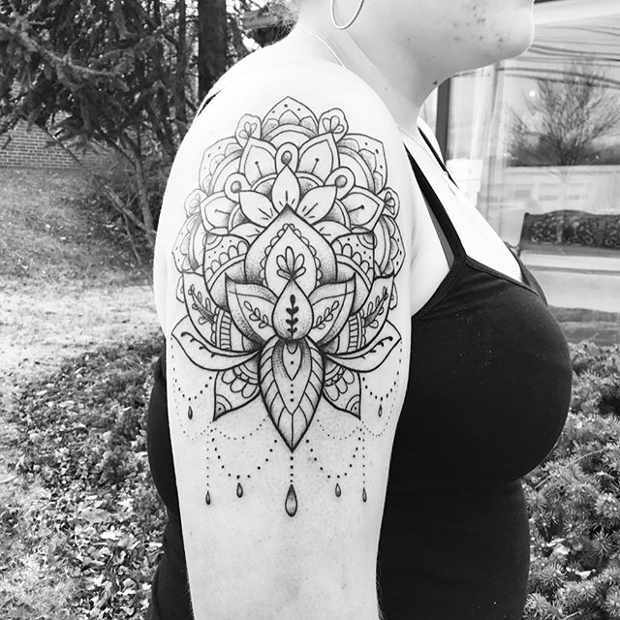 Mandala tattoos have become the must have tattoo. These intricate tattoos feature circles and have a floral look, however the possibilities are endless in the designs an artist can create. 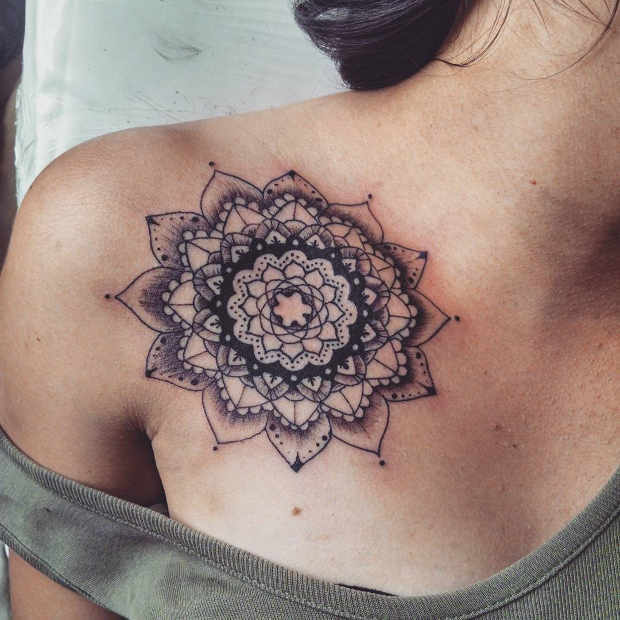 The mandala is also a spiritual tattoo that is said to symbolize balance, rebirth, creation and more. Due to the meaning and individuality these tattoos will never go out of style. Making it a great tattoo choice as these last forever. It will always be personal to you and will also look beautiful. Take a look at 21 tattoos to get inspired. 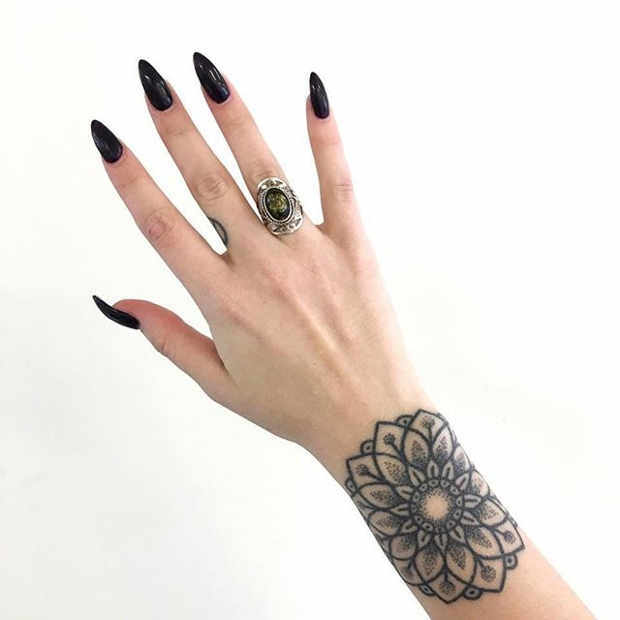 Wrist tattoos like this one make a stylish statement. It is more than just a tattoo it is almost like a beautiful piece of jewelry. Another great thing about wrist tattoos is that it you can show it off when you want but also cover it up. 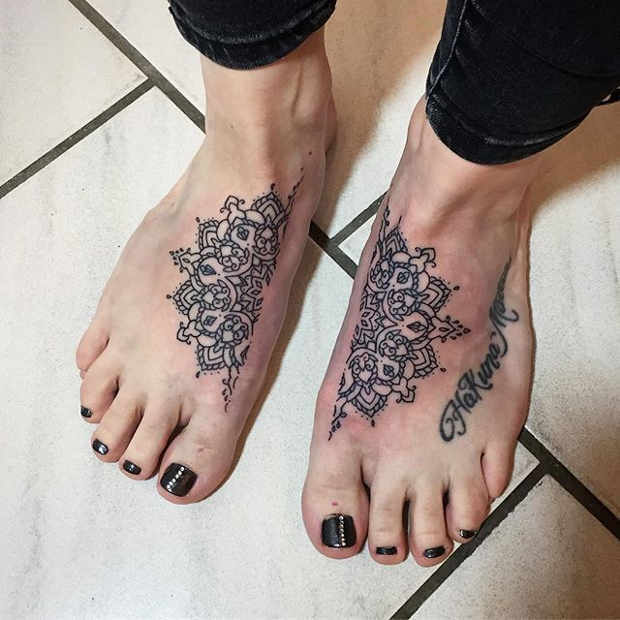 Tattoos on the feet have become hugely popular – you can see why this mandala tattoo is just stunning. It will look great during the summer with pretty sandals. A foot tattoo is said to be painful but it looks worth it. No pain, no gain right? Watercolor tattoos are fun and very artistic. It makes your skin look like a canvas. 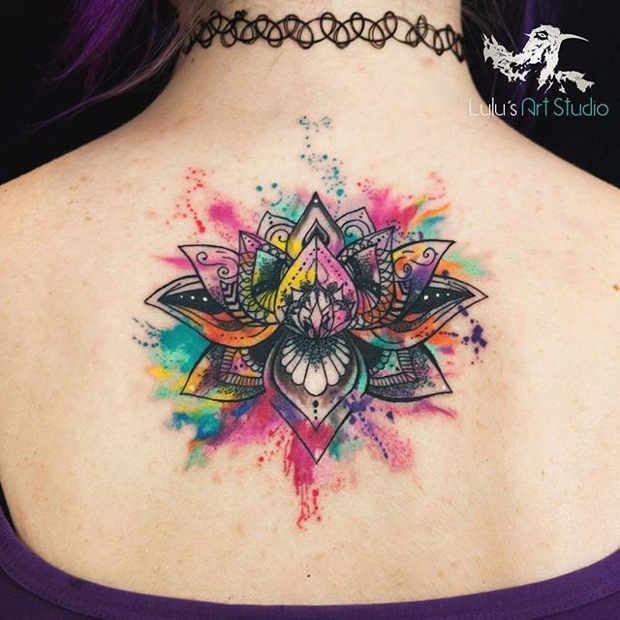 Vibrant colors like the ones in this tattoo suit the mandala design perfectly. This way of coloring is just beautiful and is perfect for spring and summer. Collar bone tattoos are very trendy. You can have it in full view with a cute summer top or just have a flash of the tattoo on show. It adds interest to your look. The feminine and floral design is gorgeous! The next tattoo shows how you can add words or initials into your design. You could have anything from your loved ones to your favourite lyrics. This is a funky design that is truly unique. Having a tattoo on your back is also a great choice if you can’t show your ink all the time. 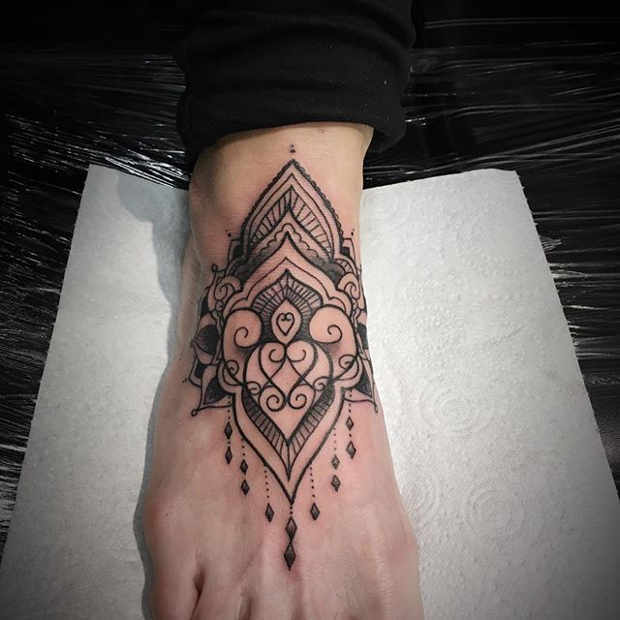 We love this intricate foot tattoo. You get two looks in one! 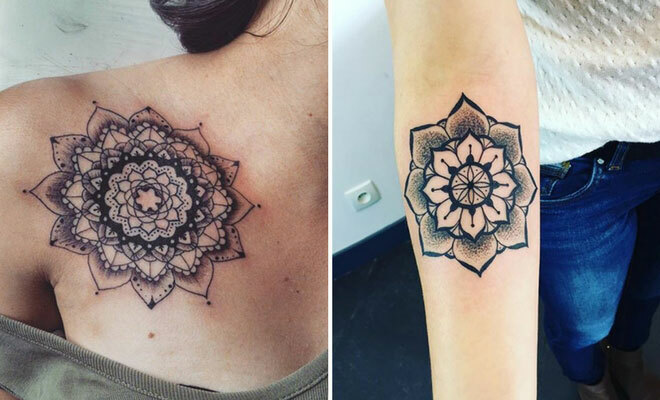 Two beautiful half mandalas and when your feet are together one big intricate one. There are so many ways you could re-create this with your tattoo artist. This upper arm tattoo is bold! It is a cool piece that will look trendy with any top. 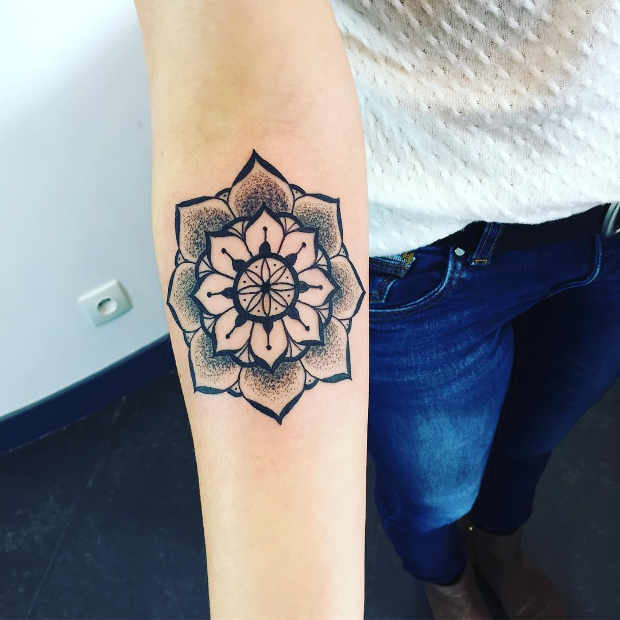 There are so many designs that would look awesome on your arm. The possibilities are endless, don’t even get us started on color ideas. Our next tattoo is for the trendsetters! This is a funky design that looks cool and cutting edge. The design is fabulous and intricate. It is truly a work of art. 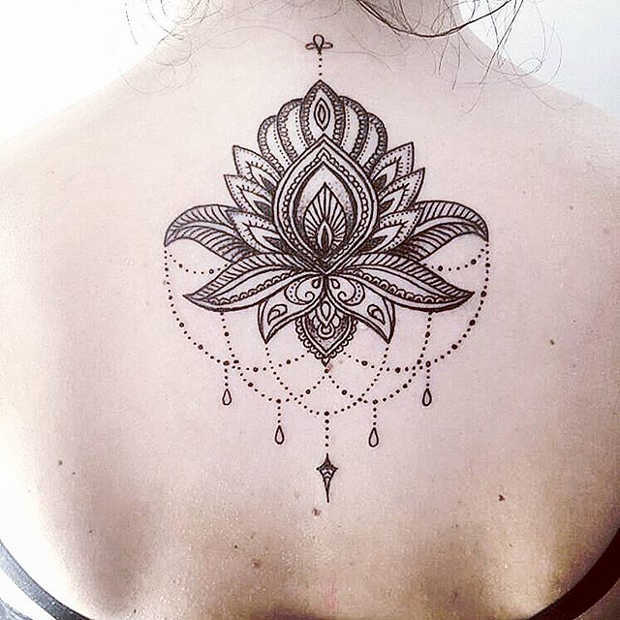 This back tattoo is elegant and has a glam vibe about it. It has a floral lotus style making it a very feminine design. 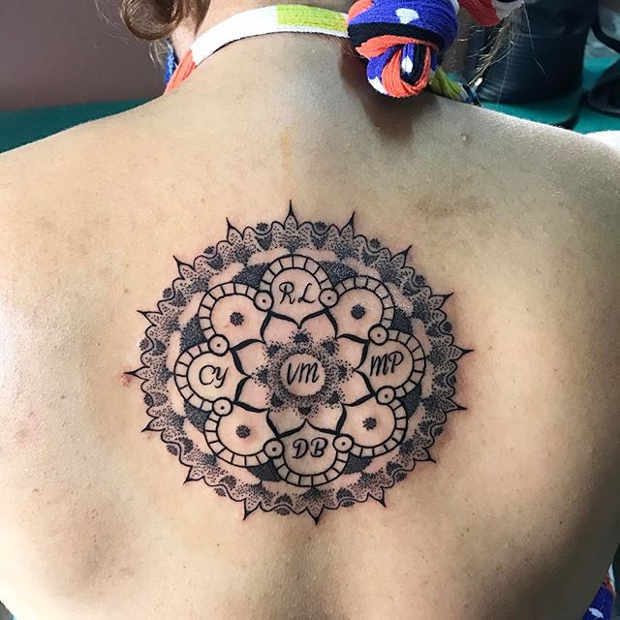 The design would look beautiful on other places on the body. Would look amazing with a splash of watercolor too. Forearm tattoos have become a tattoo favorite. These are cool and edgy. 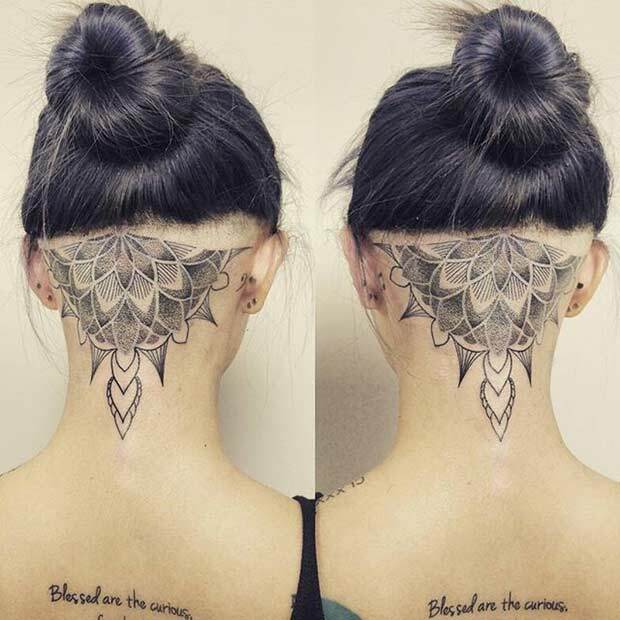 We love this design because it looks like an artistic flower. It is a bold and beautiful piece that will suit any girl.